We are living in a modern era of sensors. 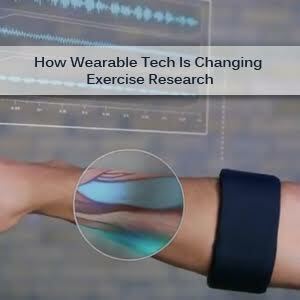 The advanced technology in various fitness tracker devices is reshaping the way of researchers’ study about exercise. It allows them to get detailed information about the movement of people and an elaborated view of the daily routine activities. It helps you to know your blood flow, temperature, heart rate and sweat level and blood oxygen level. With a combination of sensors, this watch keeps an eye on your vitals, giving you a complete view of health, sleep and exercise routine. It’s time to Man up for work out as you got this sound tech with you. This interesting gadget named MotoActv introduced by Motorola is your personal trainer. It indicates you when you reach your target pace or heart rate based on your programmed profile and activities. To keep you in the flow of exercise, it creates a workout playlist, pulling up songs that helped you burnt the most calories in your past workouts. It also takes your few personal assistant duties like getting incoming calls and displaying it on screen text messages. I’m sure you’re going to give a go to it. According to the latest survey given by BitGym, the average American household has 1.15 cardio machines. But unfortunately, they’re left not utilizes on a regular basis, and they end up in collecting dust. Here is the new big thing that will help you to use the treadmill again because of BitGym’s iOS. One of them, Trail Runner app, shows scenic landscapes as you’re on your exercise machine. Speed up or slow down, totally depends on your real-life workout plan. Lite versions are free to install. I must say, give this tech a try. If you love to have a long run outdoor, Runtastic is a kind of app you will like to use. As it tracks your starting place, covered distance, time, speed and calorie burn. It is available in pro version which has got unique features like voice feedback, live tracking, cheering, pulse-reading and integrated music player. It is available on all the operating systems like iOS and Android and Windows phone and even on blackberry as well. Prices may vary according to the Operating system that you’re using. A perfect workout doesn’t mean that you’re hitting a gym too hard. Head somewhere scenic and begin an adventure like biking or snowboarding. Action Capturing cams such as Drift HD can be a key motivation to go outside. They capture a spectacular view of 1080p HD video. While upon watching that videos will make you want to go right back to that place again. It is specifically designed for gym rats. Bluetooth connectivity in it ends up long cords. The sound is fantastic. It helps you to stay motivated when your power track starts buzzing with your workout. Plus, it’s got a wide range of ear cushions and hooks to make sure you find the perfect fit so that you stay focused on your workout. Music can make runners stay motivated to reach maximum distances. It must be same for swimmers. Right? Fitness Technologies’ UWaterK7 was just built to stay water resistant. It helps swimmers to stay focused and to stay in the pool swimming for a healthy time. This detailed information analyzed by today’s wearable tech provides researchers the right direction to study not only workout routine, but also sitting, standing and walking in daily life. Eventually, the best idea is generated of how these activities affect our health. In the past, researchers used to rely on questionnaires to find out daily based activities people are engaged in during the day. But such type of research wasn’t that much helpful as it covered only a slice of people’s time as they use to ask about specific activities, such as whether a person went for a brisk walk, jog or biked to work. But this wearable tech that we’re using now captures almost every physical activity from different perspectives. Now, a number of advancement in technology has greatly increased the amount of concise information accelerometers can gather. Today’s accelerometers have higher-capacity batteries with more efficient microprocessors and RAMs. Therefore, it can store much more information on small computer chips. In fact, modern accelerometers can capture data 80 times a second, in three directions. Accelerometer data will be specifically vital for studying activities in the office routine which is near to impossiblev to quantify as people may not always remember noticing it. Ultimately, studies using accelerometers will provide researchers answer of the questions like, “How much sitting or walking we should do on a daily basis?” It could lead to enhancement of exercise routine. According to a national study organized in 2003-2004, participants were provided with accelerometers to wear on their waists, and as low as 40 percent of participants in specific age groups wore the device for six days. Contrary to a study in 20112-2012, participants wore accelerometers on the wrist; 70-80 percent wore the device for at least six days with an average of 22 hours a day. Researchers are still trying to find out the perfect way to examine the information gathered from wrist wearable accelerometers, as it will enable them to be accurate in differentiating among various kinds of activities like sitting, standing, sleeping, walking or cycling, etc. If researchers conclude to the concise approach for examining the wearable accelerometer info, such a way will cover up the apps being used with commercial fitness trackers. Michele Smarty is a short story author, blogger and freelance writer. She has contributed on various well known websites like words I seek. She loves to write on technology, health, exercises and languages. She write articles about latest trends and happenings as well.